PPLA recently had the opportunity to interview San Diego’s 2012 winner for Best Alternative Band, The Burning of Rome. We spoke with lead vocalist Adam Traub about their alternative punk-gypsy sound and what we can expect for the band next! Before meeting with The Burning of Rome, the band had a reputation that preceded them. They were described by Paste Magazine as having “rasping vocals and animated onstage presence” and I’d read amazing coverage of their shows from established magazines like 944 and Performer Magazine, so I knew I was in for a treat! The Burning of Rome is best known for their avant-guard performances and their sound is rock meets punk meets dance with a psychedelic twist! The band was originally created in 2003 on the outskirts of San Diego and gained popularity after their first single, “Ballad of an Onion Spout”. In addition to Traub, the band includes Joe Aguilar on guitar & vocals, Aimee Jacobs on keyboards & vocals, and Lee Williams on drums. The Burning of Rome follows no distinct trend; in fact, they attempt to do be the complete opposite of what you think a standard performance should be when they take the stage! You must prepare for something both manic and theatrical when you head out to see one of their shows. The band has opened for artists including The Black Keys, Edward Sharpe & the Magnetic Zeros, Devo, MGMT, Skrillex, Suicidal Tendencies and Jimmy Eat World. PPLA: How did the band members first meet and who are the current band members? TRAUB: It was a recorded project that I was working on in my apartment. It was a folder titled “The Burning of Rome”. I thought to myself, you should do this with a live band- Joe, Aimee, and I, and a whole bunch of incarnations, like ten people who had been playing together for five years. It started with that thought. Now we have four solid players (set band members) and a rotating bass player. We have a few friends playing with us now and again. It’s Aimee on keyboards, Joe on guitar, and Lee on drums. PPLA: Is this your first album? What influences you as an artist and motivates you to make music? TRAUB: We have created demos and did small runs with Surfdog (their label). We have had other recordings prior to this album that weren’t released. What we had intended to call the first album, “With us”, became the title of the album in its current form. For me, music is involuntary. When I want to start creating it’s cathartic- if I am feeling frustrated or I’m feeling inspired by something or if I just want to play piano. It is intuitive and it becomes second nature. If you have ever heard the saying, “they didn’t choose music, music chose them”, that describes our band. PPLA: For you personally, what instruments do you play? What was your first musical love or influences? TRAUB: I have always gravitated toward the guitar, ever since I was a little kid. I now play drums, mandolin, cello, and guitar. PPLA: How did the name The Burning of Rome come about? TRAUB: It started as a recording project. I appreciate history and I have several books about Western civilization. One of the books was titled The Burning of Rome by Roman historian Livy. It details the fires set by Nero and the title is symbolic of the Roman empire crumbling. I was reading this around the same time the U.S was getting involved with the war in Iraq and there were a lot of songs and statements that were coming out that were politically themed. That’s where the name came from. PPLA: How would you describe your music and is there a particular message you are trying to get across? 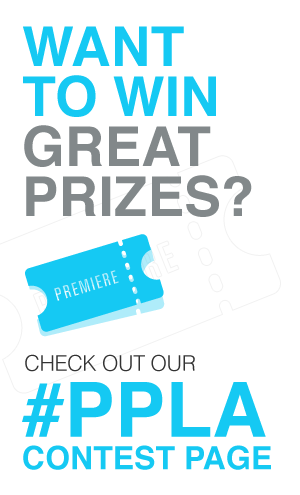 Enter to win a pair of tickets from PPLA to their next show- Sept 20th at the Viper room here in Los Angeles. They are a spectacular act that you don’t want to miss! Visit The Burning of Rome. ‘Like’ The Burning of Rome on Facebook. Purchase tickets to their upcoming shows here.